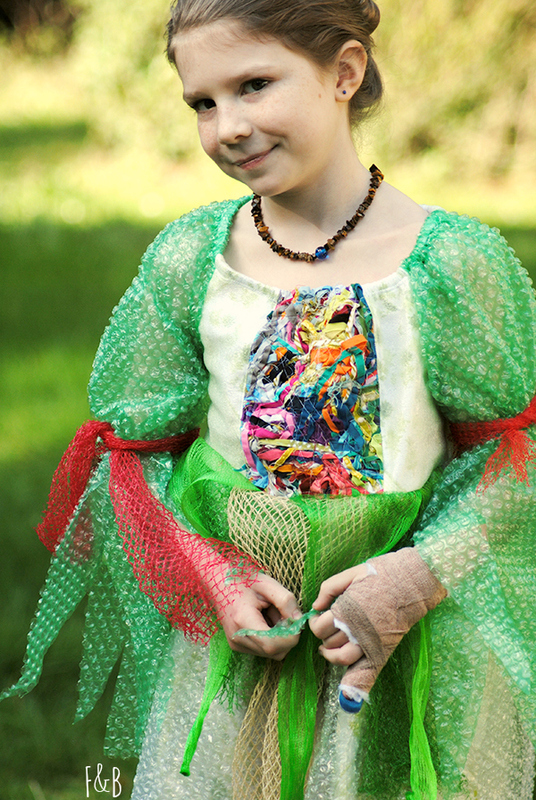 To go with the recycled mermaid tail I made last week, I made a recycled mermaid dress! Afterall, every mermaid should have a dress. This one was made using bubble wrap, foam wrap, produce netting, and an old sheet for the lining (so it wouldn't be scratchy), and some fabric scraps. If you would like to see who I made this dress for, and why, as well as more photos, head over to my blog! Absolutely the coolest!! 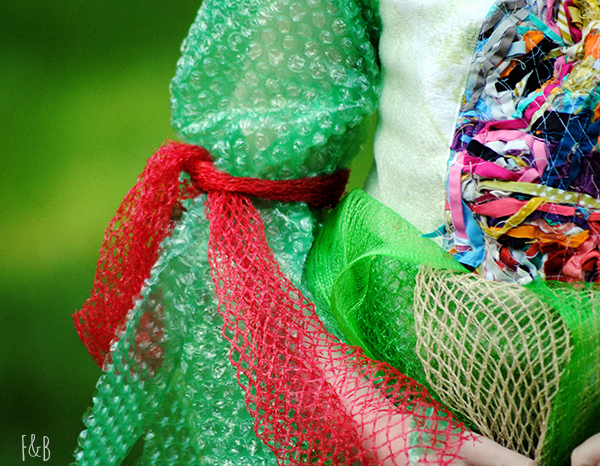 I love how you are using recycled material instead of all fabric and the awesome detail of the creative use of fabric scraps is lovely and inventive. Your daughter must be very happy with your funky creations! Such creativity! It looks fabulous and I just love the sleeves.